TCEC has teamed up with Seminole Electric Cooperative, our wholesale power provider, to launch a new pilot program designed to save money on energy costs. Participants will earn up to $80 in bill credits! 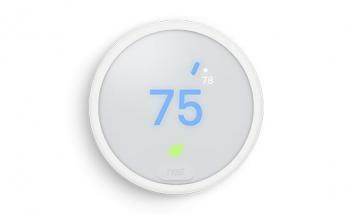 Smart thermostats make it easy to manage your home's energy use. You can adjust your thermostat on the go, or simply set an automatic schedule that optimizes your energy usage based on your daily routine. If you have a qualifying Wi-Fi enabled thermostat, and are accepted into the program, Seminole will make brief, limited adjustments to your thermostat during times of peak demand, which reduces strain on the grid and saves all of us money. In most cases, you won't even notice the adjustments and you'll always have ultimate control. This is limited time offer, and you will receive a $40 bill credit upon successful enrollment by September 15. You receive an additional $40 bill credit at the end of the program season*, if you participated in at least one adjustment. While Cooperative Rewards offers direct savings for you, everyone wins because the end result is a more efficient electric system. You'll save energy and money without sacrificing comfort - and help your electric cooperative keep electric costs down for all members in your community. If you have additional questions about the program, please visit our FAQ page at https://www.seminole-electric.com/cooperative-rewards/ or contact us at support@cooperative-rewards.com. * Cooperative Rewards is a pilot program that will run from August 2018 through May 2019. It is not guaranteed that this program will continue after May 2019.